Part glazed front door opens to the entrance hall, ample cloaks space. Door to the lounge. Double glazed window to the front and side, radiator, TV point, stairs to the first floor, dado rail, coving to the ceiling, twin doors to the kitchen. Double glazed door to the rear garden, tiled flooring. Originally the garage and now converted to form the family room and utility room, double glazed window to the front, radiator. With space for fridge freezer, tiled flooring. Fitted kitchen with a range of base and eye level storage units, display cabinets, ample work surface areas with inset single drainer sink unit with mixer tap set below double glazed window to the rear, further double glazed window to the rear, fitted gas hob set below canopy extractor hood, built in electric oven, fitted dish washer and plumbing for washing machine, radiator, tiled surrounds and flooring. Stairs rise to the first floor, access to the loft space, storage cupboard. Double glazed window to the front, built in storage cupboard, radiator. Double glazed window to the rear, radiator, built in cupboard. Double glazed window to the front, built in cupboard, radiator. 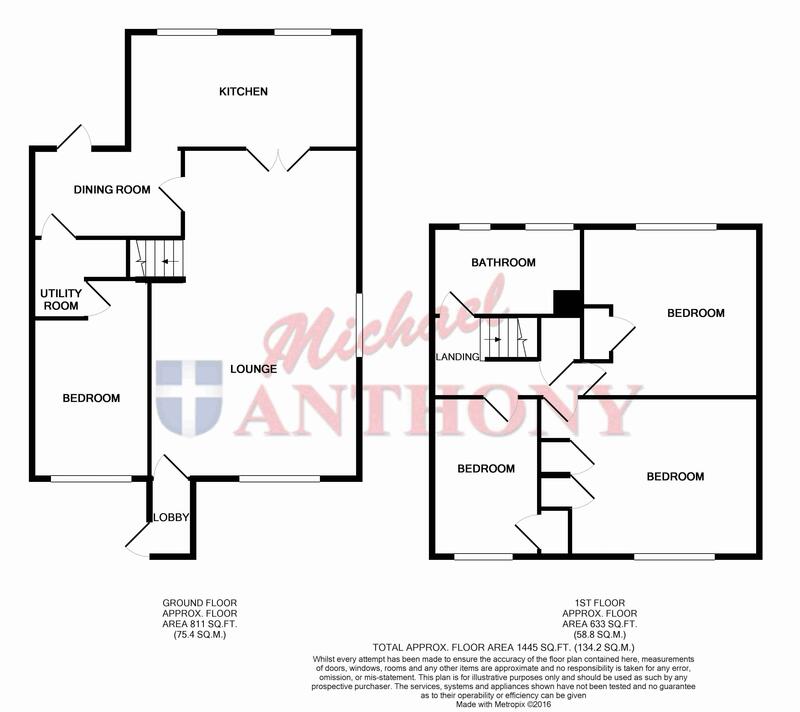 A three piece suite comprising low level WC, pedestal wash hand basin, panel bath with mixer tap and shower attachment, tiled surrounds, radiator, two double glazed windows to the rear, recessed spot lighting. A block paved driveway providing off road parking for more than one vehicle. A fully enclosed rear garden with a paved area to the immediate rear, laid to lawn with outside tap and light gated side access.